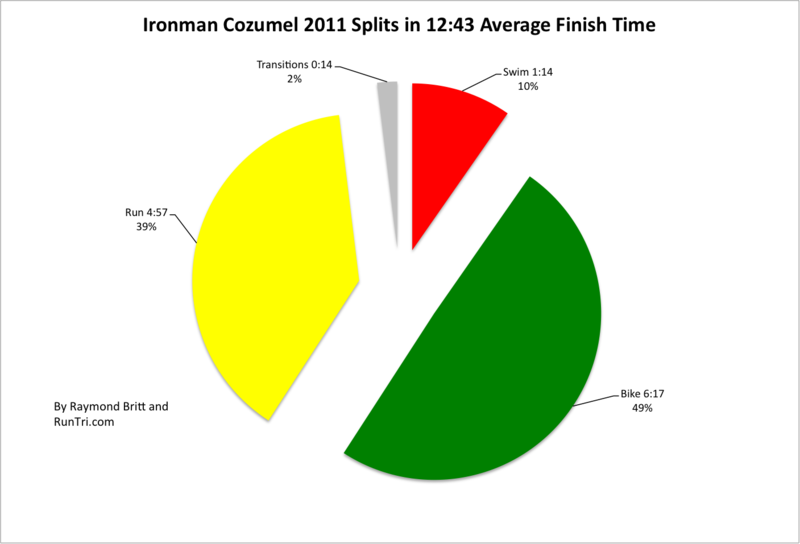 In the third annual Ironman Cozumel, 2299 triathletes finished in an average time of 12 hours, 43 minutes. 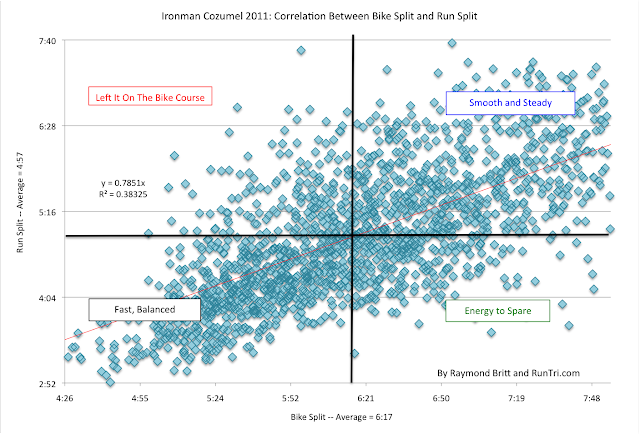 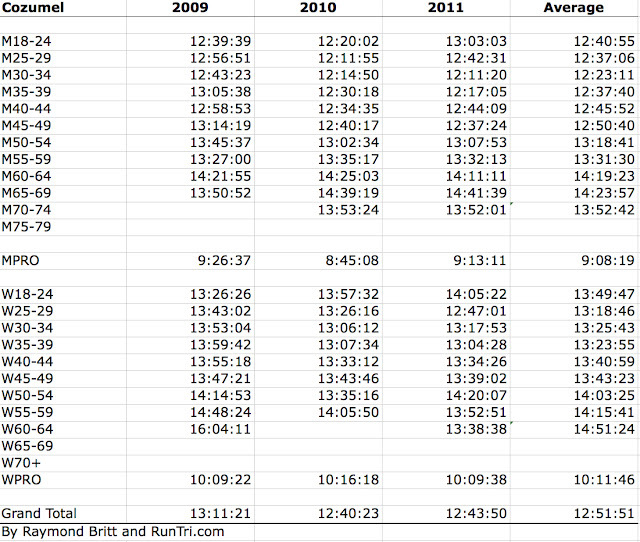 Nearly 2900 initially registered for the event, 19% did not start, and of those who began the race, 7% did not finish. 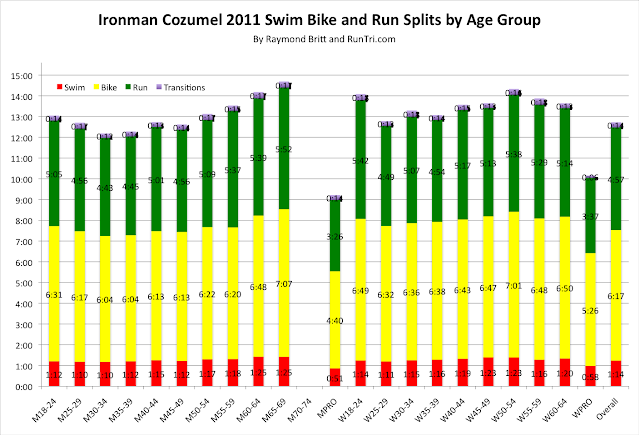 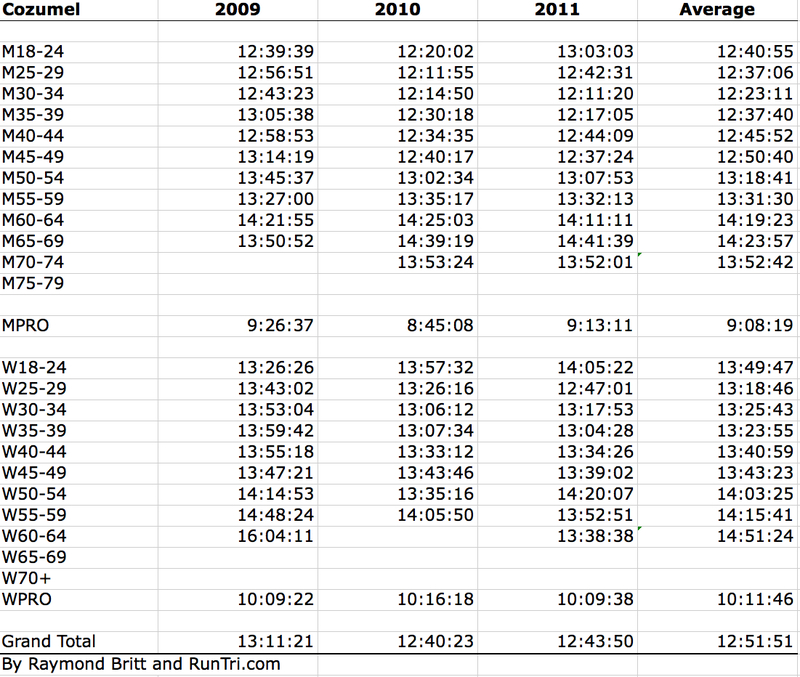 The finish average of 12:43 will change Ironman Cozumel's position on our Top 25 Toughest Ironman Course Rankings List: the 13:11 time in 2009 placed it among the slightly more challenging races, but 2010 and 2011 times indicate Cozumel is more accurately ranked as about average in terms of difficulty.